yeah, I got behind the idea of Cena prior to the Raw announcement, it made a lot more sense, as a Corbin match feels like a throwaway Raw match, especially for the reason given, I mean that was surely the point of being involved in the beatdown of Corbin in his match against Strowman at the Rumble. I would have agreed with you but McIntyre seems set for a showdown with Roman Reigns. A rumour is circling that John Cena may be the guy lined up for Kurt's farewell, I hope not as Cena is not the right choice to give Angle the quality match he will want to bow out with. A guy I didn't think of before is Samoa Joe, these two tore it up in TNA and their styles mesh well, plus if Joe went over it would be killer bragging rights for him to be the guy that retired Angle. Well I hope they use this storyline as a way to make someone and not completely waste the opportunity like they did by having Lesnar break The Undertaker's Wrestlemania streak. Kurt has lost a step in the ring and I read a report recently where he admitted he can't go in the ring like he used to and that's why hes retiring. It's a shame The Undertaker is now too old and broken down as it would have been fitting for Angle and Taker to face each other at Mania as a retirement match for one or both of them, but with both men too past their prime there's a good chance this match would now be awful. Again that's why they should use it as a chance to build a younger future star, Apollo Crewes would be a good shout or maybe even someone like Gargano or Aleister Black or perhaps ECIII but not sure he's got the skills in the ring to get a decent match out of Angle. 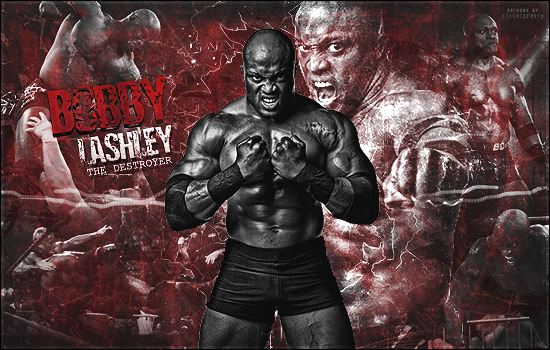 Another guy I'd like to see in the ring with Kurt is Bobby Lashley. doesn't seem like there's going to be a feud leading into this, so will be interesting to see how his opponent is selected. I partly thought that Crews would attack Angle after the match on Raw, and that would be used to build up the match. will also be interesting to see if things in WWE do return to normal post-Mania, and he is again put in an authoritarian role, perhaps shipping over to SDL, or if he will bow out of WWE. if the latter, I wonder if that really will be his last match. i'd assume, once Mania is gone, he'll be back as GM of Raw, and we won't see Steph, HHH and especially Vince until the next big need for them to be front and centre, which will hopefully be next Rumble. I'm thinking hes working few and far between to keep him in ring shape and reducing the risk of injury.